Do I want a truck??? I want to buy myself a new kit and having been ummmming and arrrring about what to go for. Then yesterday I was browsing through the Tamico site (with the M05 Golf in my basket!) and spotted the Mercedes 1838 LS Truck. Now I’ve never owned a truck and I honestly don’t know if it’s what I want or not. I love the look of it but obviously it’s a big investment and further investment will be required for something like this. However it does look cool! Do I want it? Or do I want to buy a couple of smaller kits instead? If you like scale building go for it. I had wanted a Bruiser since I was a kid, got one restored it, it looked great. I run all my stuff but it was so boring to drive I sold it. In all honesty scale stuff is something I’ve never looked at. I do like the idea of building a truck and eventually a trailer as well but obviously I don’t know if I’ll like the reality of it all. I keep toying with getting one but always think better of it - To get the best out of it I feel it needs the MFC, which then means a 4 channel radio - Once you've sorted that, you're a good £500 down even if you skip the radio. Then all you got is a £500 slow model that makes truck noises. They're great to build though, I enjoy that part. I feel the same way. I often toy with the idea of a truck but thinking of the cost of the truck, bearings, radio, mfu, and trailer makes me hesitant. I wish there was a truck club around me to make that decision easier. In the end, an MFU on a High Lift may be my best bet. Same here, except it was a Mountaineer. Scale kits are great, but not very durable. They are best suited for shelf duty, and maybe occasional living room romps, but that does get old. Yes...go for it. If you enjoy detailing and upgrading your vehicles then one of these opens up a world of customising possibilities. I've got buggies, touring chassis and rally chassis vehicles, all are fun to drive. But the most pleasure for me has come from detailing and modifying my CC01 Defender. As for running it, I do that too, in a more sedate manner than, for example, my Lunch Box! I'm sure you'll find building a truck therapeutic and extremely satisfying. Even if you don't run it in the same manner as other vehicles you own. I have wondered this same thing, the build looks great with endless possibilities, but then I don't think I would really like driving them unless I found a club, and the cost is horrendous. I don't think it would really work without the MFC thing which of course adds the kit price again. Have you looked at the arduino build thats going on at the moment? Thats interesting as its a heap cheaper but also adds more to the build which appeals to me. How about you buy one and then report back on whether it was worth it? Maybe I’ll revisit the truck idea in a couple of months time. That sounds interesting, what is Arduino? Getting into the 1/14 trucks is a bug...1 is never enough. Arduino is an open source thing, and you get hardware that you can then add software to and stuff happens. Its really cheap (like $7 for a control thing) and there is heaps of code available, or you make your own. You can see I'm really technical and know what I'm on about right? See this thread, which was great timing as I had started looking into it late last year. When I bought the tank chassis for my son I saw someone commented that they had used the chassis to make a digger using arduino. Of course I had to google that and ended up so far down the rabbit hole. Spoke to a friend who has used it and he told me its super easy and all the components are so cheap that you can try all sorts of stuff. I have limited coding ability but its also logical, and I've been married 7 years now and surely something logical is easier than marriage right? Anyway, I have a son who seems to like making stuff, and a wife who likes seeing my son and I doing stuff together, and a friend who has a daughter who isn't interested in stuff like this but he really is. I'm hoping to have a digger later this year (which is why I bought an extra receiver for my FS-i6). I hope the digger is just the start and there will be heaps of cool robotics projects going on. And that I can get a servo strong enough to open a beer, without taking one out of my nitro buggy. Anyway, I think the arduino MFC will save about USD$300 (probably in exchange for losing your hair and taking 3 years off your life) and prolong the fun of the build. Or lead to divorce and cost a lot more than USD$300 and make you bitter and twisted about the build, who knows?! My ex-roommate playing the guitar seemed mysterious to me (even though I once knew how to play clarinet). I asked him if I could learn. He said, "if you play like you are playing with your RC cars, you'll learn it in no time." Well, I never learned to play the guitar. Now, this Arduino stuff looks like black magic to me. My respect to those who are willing to lose hair over DIY circuit boards. I am tempted to try, but I like my hair. Being a Truck nut myself I always wanted an RC Truck. There was a company called Webco, Wabco or something like that in the 80's and a local model shop had one on display then. I've come close a few times particularly when they come up on a heavily discounted sale. There is a Blue Edition Scania going at Rc mart at the moment. But as has been pointed out adding in the cost of the 4 Channel gear takes the shine of it a bit. Although I still can't rule one out completely. Just waiting for the right time as they do look a great build experience, and life is all about experience's. The New Volvo 750 coming out is one I'd like to experience. So in a nutshell, yes you do want a Truck. It's like it's a sign! Deal of the week.. I was in the same boat a few years ago. I'd built loads of buggies, monster trucks, touring cars, rally cars etc, but I always wanted to build a big rig. I kept half-an-eye out and an NIB full-option kit came up on here for a good price about a week later. With a baby on the way I figured it was then or never, so I took the plunge. The build is amazing. Way more complex than any buggy or touring car build. Most of it is metal on metal. Not many threaded rods or steering links to make, probably my least favourite part of any other Tamiya build. Even the shocks are a joy to assemble! Adding the MFU is something else, too. Finishing the rig (several months after I started, as lots of chassis components need painting before assembly and it was mid-winter when I began) and switching it on, hearing that startup sound, driving it around my hobby room, was awesome. However I probably wouldn't have kept it if I didn't find some good clubs. The local club has a good layout and runs once a month. Another club is a little farther from me but I have some really good mates there. It runs once every two months and making the 90 minute drive down south is a treat that I look forward to as often as I can. Driving a rig on a proper layout is great. Having it on the shelf is nice. Driving it around the lounge is dull. So before you take the plunge, see if there's a club local to you and head along to chat to some of the members. They might even have a club rig that you can drive. If you love it, great, if not, you've saved yourself a heap of cash. Obviously the cost is a major factor for a lot of people, especially once you add MFU and trailers. 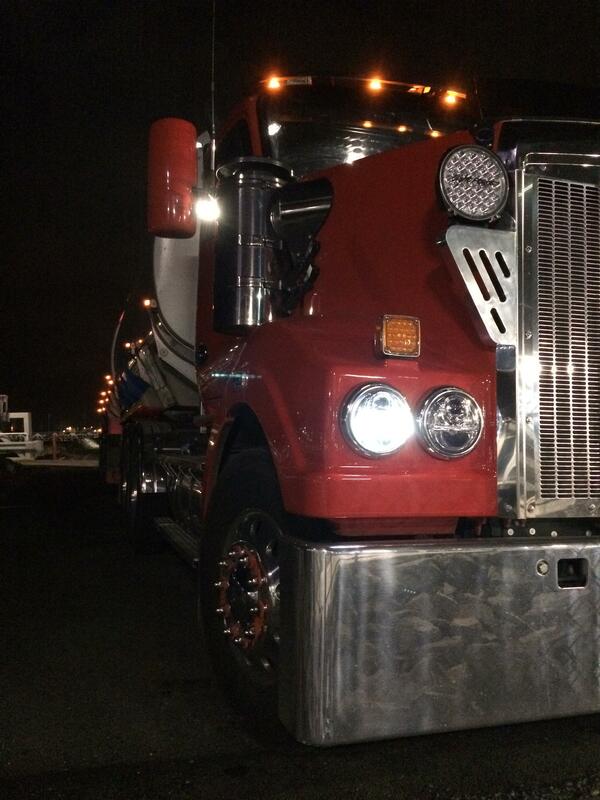 A rig isn't really doing much if it doesn't have a trailer. 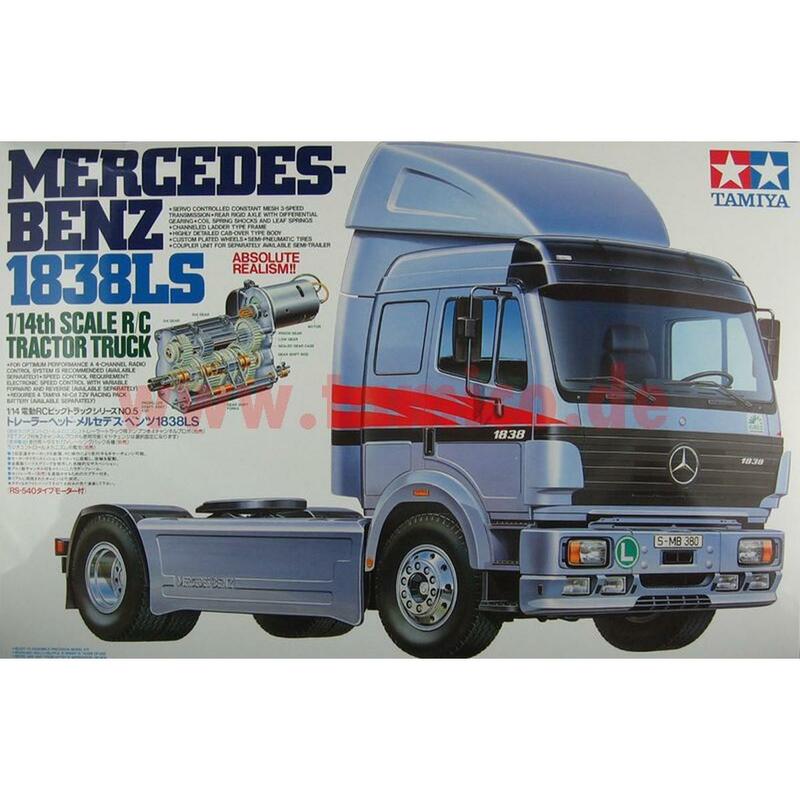 It's worth noting that Hercules Hobby have a big range of euro-style trailers for much less than Tamiya trailers. It's also worth nothing that the Tamiya MFU isn't the only option - Servonaut is expensive but has almost limitless possibility, Beier is cheaper to start with, modular so you can add to it over time, and fully customisable from the start, so you can set it up how you want it. Also the Tamiya MFU can be made to work with cheap radio gear if you follow the online guides (Turnigy 6-channel is about £45 on HobbyKing). IIRC Beier needs more knobs and switches but multi-channel radios can be found a lot cheaper than they once were. So, starting from one last-minute now-or-never purchase, I have an MAN TGX with the MFU-03, motorised support legs, a custom-built race trailer and an MAN TGS race truck on the back; I have a Globe Liner with an MFU-01 and a Tamiya pole trailer. Both trailers are fitted with OB1 bluetooth light kits. I also have a King Hauler build in progress and an NIB Grand Hauler that I probably can't afford to build until next year. Are the trucks with 3 axles that different to those with 2? Obviously, they have an extra axle, but can you swap between with a few parts or do you need to buy the one you really want to start with? 3-axle trucks have longer chassis rails, rear axle is the same as a 2-axle but the middle axle is different as the drive goes through it to the rear axle. I'm sure someone else asked a while back about converting a 2-axle truck into a 3-axle truck and the cost of the parts needed for the conversion almost came out to the cost of another truck ! Just buy a 3-axle truck if that is what you want...you will end up buying more anyway. Thanks for that, so no real difference other than the look. I like the look of the Grand Hauler.